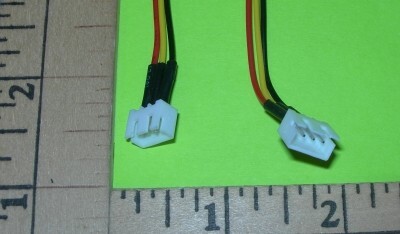 3 Pin XH balance connector to be used with 2S packs. Will interface with your XH equiped packs. Build your own balancer adapters or balance/charge cables with this connector. Connector only, no wires. Ready to solder. This item is 1 unit, 2 shown in photo for good view of item. 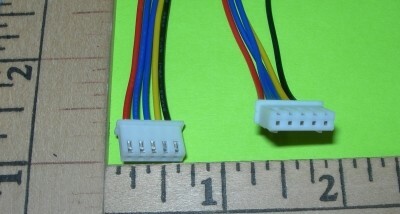 4 Pin XH balance connector to be used with 3S packs. Will interface with your XH equiped packs. Build your own balancer adapters or balance/charge cables with this connector. Connector only, no wires. Ready to solder. 5 Pin XH balance connector to be used with 4S packs. Will interface with your XH equiped packs. Build your own balancer adapters or balance/charge cables with this connector. Connector only, no wires. Ready to solder. 6 Pin XH balance connector to be used with 5S packs. Will interface with your XH equiped packs. Build your own balancer adapters or balance/charge cables with this connector. Connector only, no wires. Ready to solder. 7 Pin XH balance connector to be used with 6S packs. Will interface with your XH equiped packs. Build your own balancer adapters or balance/charge cables with this connector. Connector only, no wires. Ready to solder. 8 Pin XH balance connector to be used with 7S packs. Will interface with your XH equiped packs. Build your own balancer adapters or balance/charge cables with this connector. Connector only, no wires. Ready to solder. 9 Pin XH balance connector to be used with 8S packs. Will interface with your XH equiped packs. Build your own balancer adapters or balance/charge cables with this connector. Connector only, no wires. Ready to solder. 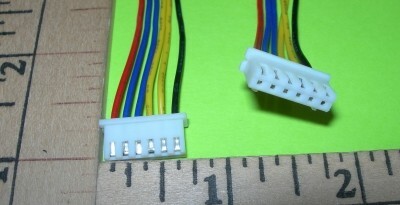 10 Pin XH balance connector to be used with 9S packs. Will interface with your XH equiped packs. Build your own balancer adapters or balance/charge cables with this connector. Connector only, no wires. Ready to solder. Connects 5S packs to balancer and charger using Radical RC connectors. Connects 6S packs to balancer and charger using Radical RC connectors. 3 cell pack balancing harness for use on Lipo & A123 packs. Pigtails are about 8" long overall. Use for building your own custom packs or replacement of damaged pigtails on your pack. Also useful for conversion of non-standard packs. 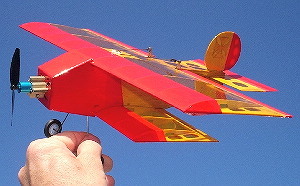 The XH plug is the world standard (most common plug used) for lithium balancing. 4 cell pack balancing harness for use on Lipo & A123 packs. Pigtails are about 8" long overall. Use for building your own custom packs or replacement of damaged pigtails on your pack. Also useful for conversion of non-standard packs. 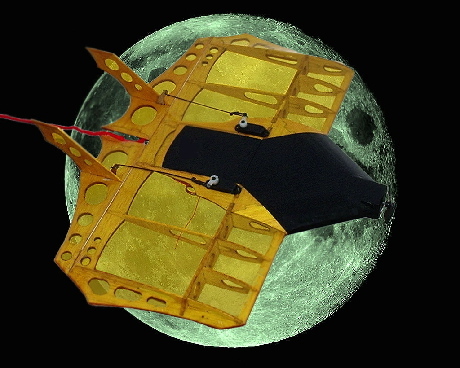 The XH plug is the world standard (most common plug used) for lithium balancing. 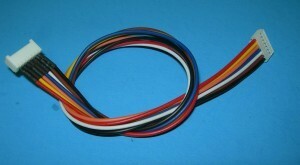 5 cell pack balancing harness for use on Lipo & A123 packs. Pigtails are about 8" long overall. Use for building your own custom packs or replacement of damaged pigtails on your pack. Also useful for conversion of non-standard packs. The XH plug is the world standard (most common plug used) for lithium balancing. 6 cell pack balancing harness for use on Lipo & A123 packs. Pigtails are about 8" long overall. Use for building your own custom packs or replacement of damaged pigtails on your pack. Also useful for conversion of non-standard packs. The XH plug is the world standard (most common plug used) for lithium balancing. XH Shell and pin set for 2S packs. Enough to do 4 battery packs. Use our standard hobby pin crimper. Useful to change over non-common plug packs to the common XH plug or for building your own harnesses & adapters. XH Shell and pin set for 3S packs. Enough to do 4 battery packs. Use our standard hobby pin crimper. Useful to change over non-common plug packs to the common XH plug or for building your own harnesses & adapters. XH Shell and pin set for 4S packs. Enough to do 4 battery packs. Use our standard hobby pin crimper. Useful to change over non-common plug packs to the common XH plug or for building your own harnesses & adapters. XH Shell and pin set for 5S packs. Enough to do 4 battery packs. Use our standard hobby pin crimper. Useful to change over non-common plug packs to the common XH plug or for building your own harnesses & adapters. XH Shell and pin set for 6S packs. Enough to do 4 battery packs. Use our standard hobby pin crimper. Useful to change over non-common plug packs to the common XH plug or for building your own harnesses & adapters. XH Shell and pin set for 7S packs. Enough to do 4 battery packs. Use our standard hobby pin crimper. Useful to change over non-common plug packs to the common XH plug or for building your own harnesses & adapters. XH Shell and pin set for 8S packs. Enough to do 4 battery packs. Use our standard hobby pin crimper. Useful to change over non-common plug packs to the common XH plug or for building your own harnesses & adapters. XH Shell and pin set for 9S packs. 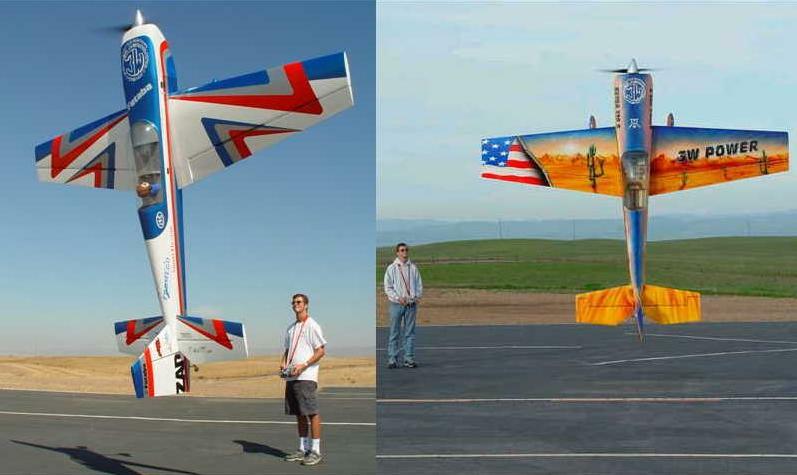 Enough to do 4 battery packs. Use our standard hobby pin crimper. Useful to change over non-common plug packs to the common XH plug or for building your own harnesses & adapters. XH Shell and pin set for 10S packs. Enough to do 4 battery packs. Use our standard hobby pin crimper. Useful to change over non-common plug packs to the common XH plug or for building your own harnesses & adapters. 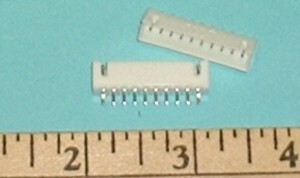 11 Pin XH balance connector to be used with 10S packs. Will interface with your XH equiped packs. Build your own balancer adapters or balance/charge cables with this connector. Connector only, no wires. Ready to solder. 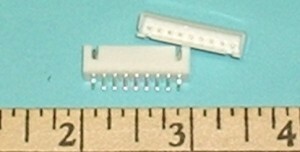 3 Pin XH balance connector receptical pigtail to be used with 2S packs. Will interface with your XH equiped packs. Build your own balancer adapters or balance/charge cables with this connector. Connector with wires. Same balance plug as you find in the side of many chargers such as: Turnigy, Tenergy, IMax, Bantam, Pro Peak, Overlander and etc..... 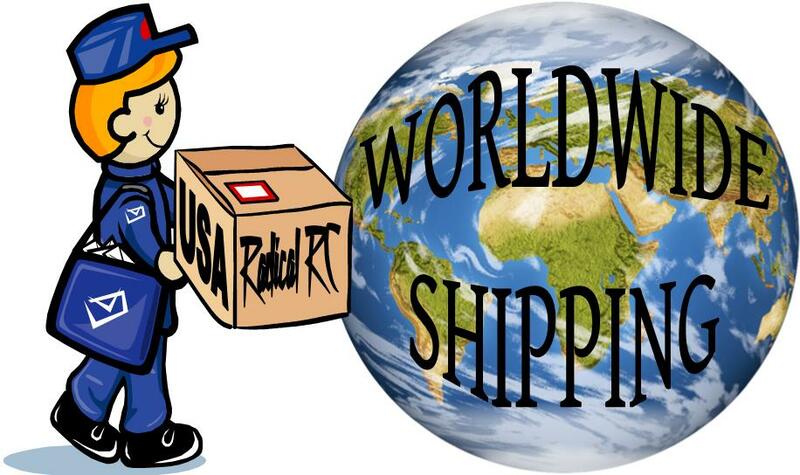 The most common plug in use today. 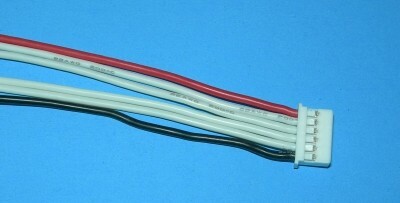 4 Pin XH balance connector receptical pigtail to be used with 3S packs. Will interface with your XH equiped packs. Build your own balancer adapters or balance/charge cables with this connector. Connector with wires. 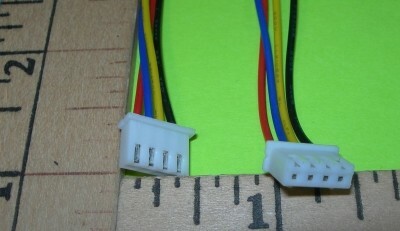 5 Pin XH balance connector receptical pigtail to be used with 4S packs. Will interface with your XH equiped packs. Build your own balancer adapters or balance/charge cables with this connector. Connector with wires. 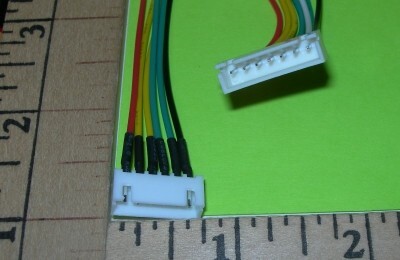 6 Pin XH balance connector receptical pigtail to be used with 5S packs. Will interface with your XH equiped packs. Build your own balancer adapters or balance/charge cables with this connector. Connector with wires. 7 Pin XH balance connector receptical pigtail to be used with 6S packs. Will interface with your XH equiped packs. Build your own balancer adapters or balance/charge cables with this connector. Connector with wires. 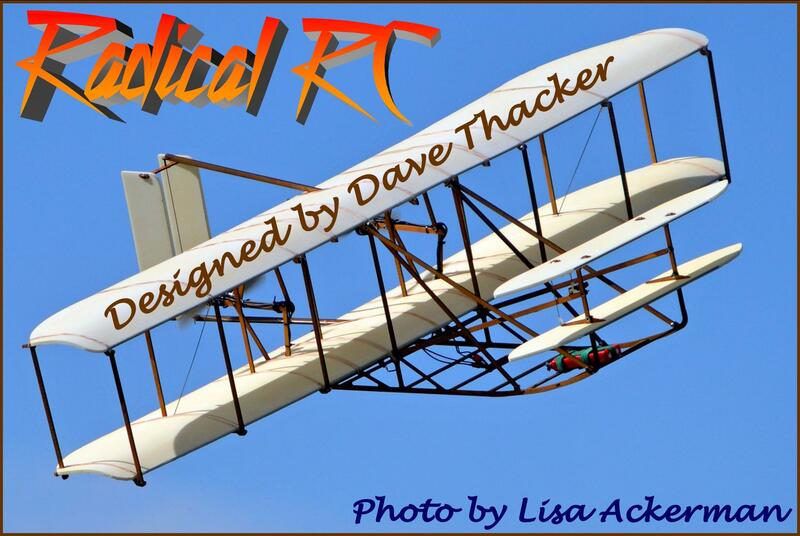 Used on FMA/Revlectrixs Lipo packs and use to convert packs to FMA/Revlectrix balance harness system. Male pigtail. 5 Pins.